Hope you're ready for loads of Telltale storytelling goodness, because the studio has just announced not one, not two, but three series continuations. The Wolf Among Us season 2 and The Walking Dead: The Final Season (working title) will debut in 2018, while Batman season 2 - officially titled Batman: The Enemy Within - will premiere on August 5. Batman: The Enemy Within will focus on The Riddler and John Doe, or as Telltale calls him, a "proto-Joker". 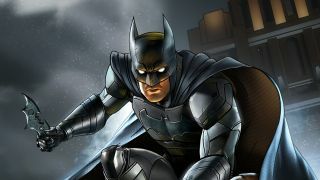 There will be five episodes to this new chapter for Telltale's take on the dark knight. Over in the land of zombies and heart-wrenching decisions, The Walking Dead: The Final Season will circle back to telling Clementine's story as she searches for AJ and the chance to have a (somewhat) happy life. True, Clem has been a part of all three seasons so far, but A New Frontier (season 3) changed things up by making her more of an extended cameo. No details on what the game will look like or how many episodes, but I'd wager the usual art style and five episode structure. Last but certainly not least, Wolf Among Us 2. This Telltale project is the one most shrouded in secrecy, and all we know is that it will feature a new mystery to solve. It probably will not be continuing or answering the cliffhanger from season 1, as Telltale head of communications Job J Stauffer wrote in a Reddit AMA earlier this year that, "We do have a clear answer to who was who at the end of that story... we had also agreed to keep it a mystery for the fans to ponder on their own". Stauffer also wrote, "Should we ever continue in the world of Fables and The Wolf Among Us... it is generally agreed upon here that we wouldn't continue that storyline directly, and would leave things an open mystery that's better left unanswered." Here's perhaps the funniest part of it all: just two days ago, PlayStation Lifestyle noticed that Telltale's original tweet teasing the news was retweeted by the voice actor for Wolf Among Us' Bigby, Adam Harrington. Stauffer chimed in, saying that, "I worry about people getting their hopes up in the wrong direction. He may be of very few words, but Adam also voices Groot in our [Guardians of the Galaxy]." And then, really leaning into this head-fake, Stauffer wrote, "We'd KILL to step back into that world some day." Telltale must be stopped, before they kill again.